Manufacturer of a wide range of products which include servo stabilizer, industrial voltage stabilizer, servo voltage stabilizer and mini home ups. Our company is a well-known manufacturer, supplier and exporter of a wide spectrum of Servo Stabilizer. These are impeccably designed by us in a sophisticated infrastructure using latest technology. These stabilizers are extensively used to control the voltage fluctuations with solid state electronic circuitry. They keep the appliances safe and offer optimal performance. 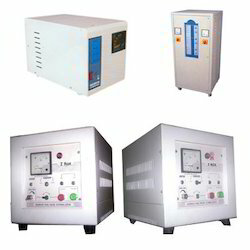 Our company is involved in the manufacture and supply of supreme quality Industrial Voltage Stabilizer. These stabilizers work on a wide array of voltage inputs and are suitable for both single phase and 3 phase connections. The whole range of these stabilizers is widely known for its long lasting life and high efficiency. 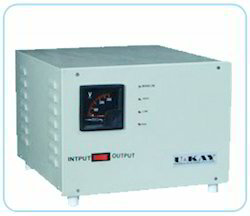 We are engaged in manufacturing and supplying premium quality Servo Voltage Stabilizers. These stabilizers can overcome and control voltage fluctuations and hence can provide the desired constant output voltages. These regulators undergo strict inspection based on multiple parameters to ensure their quality. The offered stabilizers are competitively priced. Our well recognized firm has created a niche for its highly popular product Mini Home UPS which is manufactured by using high quality raw materials. This product is available in a range of configurations as per the customers’ requirements. 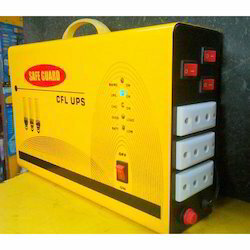 These UPS are readily capable of supporting CFL, tube lights, fans and even mini television sets, hence quite effective in supporting homes and makeshift camps. 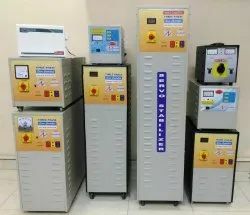 Used for the purpose of stabilizing the flow of electricity, the offered Servo Voltage Stabilizer is considered to be one of the best options available. Manufactured in compliance with the set industrial norms and guidelines, its quality never deteriorates. 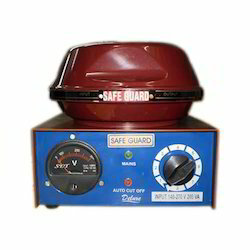 The commendable protection it provides against short-circuits and overloading, make it highly demanded.